I’d like to welcome Kinley Baker to Caribbean Accent Book Review’s (CABR) very first Beyond The Page interview. 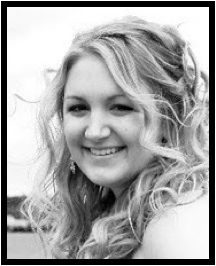 Kinley Baker is the author of the fantasy romance series, Shadowed Love. She read her first romance at the age of thirteen and immediately fell in love with the hero and the genre. She lives with her husband, Benjamin, and her dog, Joker, in the Pacific Northwest. 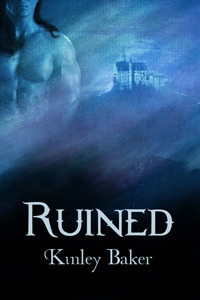 Ruined and Denied are available now. Look for Freed in July 2012. As a firm supporter of all supernatural lifestyles, she writes fantasy romance, paranormal romance, and futuristic romance. You can find Kinley at www.kinleybaker.com. 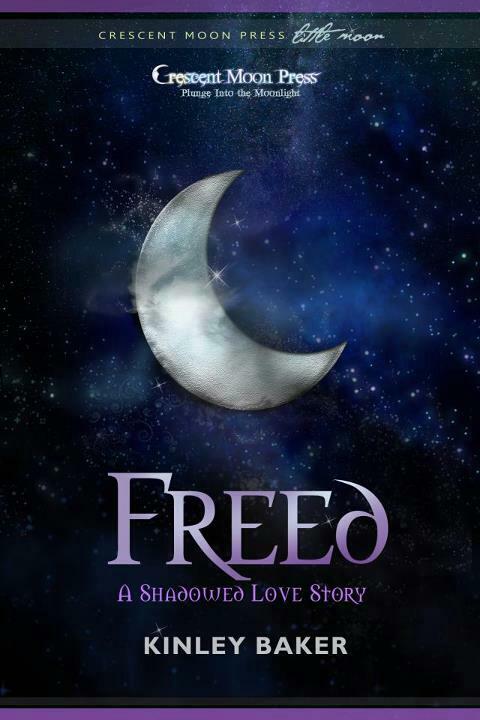 CABR: “Freed”, book 3 in the Shadowed Love series, is actually a prequel novella. What made you decide to go back and tell the story of Queen Ella and King Falon this way? KB: Readers were asking how the Shadow Shifters entered the Realm of Shadows from the Mortal realm in the first place. I knew I wanted to write a novella to show what happened since there wasn’t an opportunity to include it in the first three full-length books. King Falon and Queen Ella’s journey started to form in my mind, and I’m glad I fleshed out the story because their relationship is very different from anything I’ve written before. I think a lot of people can relate to their feelings of being misunderstood and isolated in a way. CABR: Will they get a full-length novel of their own? If yes, when? KB: Wow, that’s a good question. I don’t think anything is ever completely out in terms of what I’ll write next. My overactive imagination always ensures there are opportunities. If readers want to know more about Queen Ella and King Falon, I have a few ideas. The external conflict would be difficult since Ruined says the Shadow Shifters lived in peace for centuries before they were invaded in the first book in the series. But not everything makes the history books. We’ll just have to see. There’s nothing contracted or planned for now. CABR: It’s been 20 months, over a year and a half, since you sold your debut novel, “Ruined”, to Crescent Moon Press. How has your life changed since then, both professionally and personally? KB: Has it been that long? Time sure flies. Life is the same in a lot of ways. I still live in the same house with the same husband and the same dog. A few challenges in my personal life regarding family have really tested me. This hasn’t been the smoothest year, and it’s definitely been one of growth. Professionally, I’ve really realized this is a marathon, not a sprint. I’m working on building a new blogging platform, which I’m looking forward to. It will have a focus on readers and community. I’ve really realized how important having that is to me. I’m also always working on growing as a writer. CABR: I love dogs. In fact my family has five of them. Has your dog Joker ever inspired a scene or cheered you up if you were stuck writing a scene? CABR: Can you tell us what’s next for the Shadowed Love series and Kinley Baker the author? KB: Next up is the third full-length book in the series. It will be Arianna’s story and I’m working on finishing up the first draft now. I also have a new futuristic romance series coming out in 2013. It’s much sassier than my Shadowed Love series. I’m looking forward to letting my hair down. CABR: Ooh. Looking forward to hearing more about that. Be sure to keep us posted. What’s the funniest fan interaction you’ve had? KB: I think the funniest interaction I’ve had is when I’ve been at family parties or somewhere I wouldn’t expect people to bring up my writing. Then I find out so-and-so has read both books and loved them. I think: Wow! Thanks! I didn’t even know you knew I wrote. KB: Definitely! When I went to the Romance Writers of America National Conference in 2011, it was before my first book released, so I wasn’t signing. I went around the huge literacy signing grinning like an idiot. One memorable experience was when I went completely fangirl on Larissa Ione. She was so nice and awesome! I think I used the word brilliant when I told her how great I thought it was that she made one of the Four Horsemen of the Apocalypse female. If you haven’t read Larissa Ione, do so now! Start with The Demonica Series. Pleasure Unbound is the first one. I love her writing! If you could be someone else for a day, from any time in history, who would you be and why? KB: I think I would want to be one of the Presidents of the United States of America. I just want to know if they really know about the existence of aliens . . . once and for all. CABR: LOL. Excellent choice. You’d get to know the answers to a lot of questions, being POTUS. KB: This is so hard! There are so many worlds I want to hang out in. I can’t imagine picking just one character! I guess I would pick Nalini Singh’s Psy-Changeling world. I really love Hawke and the wolf den. This series is amazing if you haven’t read it. I love how the wolves interact and their code of honor. What’s the best thing about living in the Pacific Northwest? KB: The rain! Everyone complains about it, but I love it. I also grew up near a ferry dock. I love the water and the fresh air. Combine the two, and I’m not sure I’d want to live anywhere else. Except maybe Ireland. I love the cliffs and the green lands. I’ve always wanted to go there. But I haven’t yet convinced my husband that we need to live in a castle. He just doesn’t have a sense of the fantastical. I’ll convince him one of these days. KB: Thank you so much for allowing me to visit today! I’m more than happy to answer any questions in the comments and I’ll be checking back. Kinley will be giving away a PDF copy of “Denied” to 1 lucky winner. TO WIN: Please POST A COMMENT below and ENTER your information in the RAFFLECOPTER. When invaders brutally massacred the women and children of the Varner, Caleb witnessed loss and destruction on a scale few can comprehend. As the leader of a race on the brink of extinction, his only hope for survival is gaining acceptance into the Shadow Shifter Kingdom. Struggling with new customs, he meets Tabitha, a woman who challenges his limits. Refused the right to join the king’s guard because of her gender, Tabitha must be stronger than the men to prove she deserves to be the first accepted female Warrior in the kingdom. She believes Caleb will help improve her abilities, until she learns her goals conflict with the foundation of his culture. When the realm is attacked, Tabitha and Caleb must come together not only to fight, but to find the strength to win against an evil with the potential to destroy everything they revere most–including each other. Right before entering the next clearing, Caleb caught a flash of color contrasting against the green. He paused, moving aside a few leaves so he could peer through the opening. His attention caught on a tantalizing sight. A woman moved in a dance of lethal grace with her eyes closed. She swung her blade with the skill of someone long trained. Challenging only the air around her, it was clear she strived to improve her form. Her beauty was only enhanced by her bare, capable arms. The sleeveless shirt and pants she wore were nothing like the robes of the Shadow Shifters’ traditions. Her biceps and triceps flexed, illuminating well-formed muscles. Amusement slid through him. This was the first time he’d ever seen a woman with a blade. And he couldn’t help but admire her. Part of him knew he should admire no female other than his aroha, his fated mate. But the other part of him was intrigued by this display of warrior patience. The women of his people had never been trained in battle. It was Caleb who had failed to protect them. The female in front of him didn’t look like she needed protection, and the concept baffled him. A man should always stand between a woman and a fight. And if they failed to protect as Caleb had his own people, then the man should carry that weight around forever, and the guilt, just as he did. Need for redemption soaked into his veins. Perhaps he could help this female improve her form to make up for his other failures. “You’re dropping your left side,” he said, moving out from behind his cover. Her head whipped around, her sword following with force. The very tip aimed toward his heart. Five feet separated him from the lethal point. He was not yet in danger so his gaze trailed from the sharp blade to connect with her gaze. Honey-colored eyes clashed with his. Awareness shot through him. He did his best to hide his response. His entire world shifted, the foundation reforming in the blink of a second. The change. The moment every man of the Varner desired. The finding. Of the one woman meant to be his mate. How many times had he imagined this moment? The warrior woman was his aroha. His body pulsed to life. For the first time his lust awakened in response to another, just as the old tales stated. His muscles tensed, everything inside him urging him to act, urging him to brand. He was ready to make her his. The fire in her eyes held him back. As well as the vivid distinction that this woman with a sword was far from a delicate female of the Varner. From his experience the past two years and the difficulty of fumbling his way through foreign cultures for the same length of time, he knew it was better to keep his revelation to himself. For now. She might not sense the connection like he could, like the women of the Varner had been able to. His fascination overwhelmed the new ache in his groin. She was extraordinary. He’d never seen another woman like her. Fierce and strong with steel in her gaze. Beautiful, mighty . . . his. The core of him roared that this miraculous creature belonged to him. “Who are you?” She jabbed her blade forward an inch. “Some would say.” He moved closer to her. She tensed, but didn’t attack. Perhaps it was the foot and inches of his height advantage that stalled her. The sun shining through the trees bestowed a glow off her light brown hair, giving her an ethereal aura. Strong features curved with womanhood invited him to touch. His hand almost reached toward her before he stopped himself. Every inch of him yearned to claim his woman, his destined mate, his aroha. His fingers ached to touch her and make sure she was real. Even if it was only to correct her sword form. Could he really have found the woman he’d searched for all of his adulthood after thirty-three years of living? He needed to brush her skin and make sure he wasn’t fantasizing. Although he knew this must be real because he had never imagined a woman like her. Was that a flush in her cheeks? He moved around to direct her arm. When he hovered near her, his front almost touching her back, she glanced over her shoulder warily. He kept himself far enough away so she couldn’t feel the press of his male interest. He ignored the flustered feeling inching up his spine. He’d never been snared by a woman’s scent. He wanted to inhale her natural fragrance and brand it to his memory. In this open area near the forest where so many aromas mingled, hers stood out—a citrus blend of foreign fruit mixed with the spicy scent of flesh dampened from exertion. His fingers closed over her grip on the blade. He showed her how to turn without dropping her side. “Perfect,” he said, unsure if he meant the improvement in her form or the feel of her soft flesh against his roughened palm. He freed her with reluctance. With a little space between them, she tried again, flawlessly turning. After mortal invaders slay a Shadow Shifter woman, Queen Ella knows there is more blood on the horizon. As the most powerful Sensitive in the village, Ella has always known she’s destined to save the kingdom. But her task seems impossible. She must move the Well of Souls to a new realm to save her people or risk failing the Ancestor gods. The woman King Falon loves will never love him back, despite a binding marriage built on regal decorum. Falon’s first duty is to his people, and he only wants to provide the Shadow Shifters with a safe future. He must assert his power to gain the respect of the warriors. Harder still, King Falon must accept the salvation of his people lies with his own Queen Ella, a woman who speaks madness… a woman he’s always loved, but hardly knows. King Falon looked up at the darkening sky, and a heavy burden settled inside his chest. Where were their Ancestor gods? From his castle balcony, he stared over the hills of his homeland in Northern Britain, the place the Shadow Shifters had always called home. Their history and their hearts were embedded in these lands. The mortals had always been a danger, but his people had escaped their persecution. That was no longer the case. The martyrs wanted to annihilate the Shadow Shifters, a race who thrived in the darkness, who thrived in the shadows, who thrived in the night. Holy believers were coming for them, without any understanding of what they attempted to fight. The Shadow Shifter village had remained protected on these hills, with their Ancestor gods watching over them. Now, their existence was threatened. “It isn’t your fault.” The sound of Pavel’s voice came from behind him. New to the throne, newly wed, newly orphaned. Too many firsts weighed on his shoulders. He didn’t know how to handle the burden. His friend had so much faith in bodiless apparitions. As the Spirit Teacher, perhaps Pavel had to have faith. But Falon struggled. He’d always struggled. “That girl–” He couldn’t finish. Seeing the mutilated body of one of his people had made bile rise to his throat. His people had looked to him for answers, and he’d nearly crumbled in front of them. Falon had done his duty, but the young girl’s face. He’d never forget it. “We must prepare the Warriors.” To stop his people from being destroyed. “What other choice do I have?” He glared at his friend, freeing his frustration. His friend might have too much faith. Falon studied their lands for another long moment, watching the sun fall into the lure of the mountains. “Of course I will.” But when he glanced back again, Pavel was gone. He had a way of disappearing. Falon knew he couldn’t dwell on the events of the past week. A young girl was gone, killed by bloodthirsty strangers, but the rest of his people remained. He could not allow her tragic death to befall the whole. He strode through his private chambers to an adjoining room, deciding not to use the shadows to shift so he could take a deep breath and collect himself. After passing through the doorway, he came to an abrupt halt. His breath caught at the sight before him. A woman of supreme elegance stood in the last flickers of light, staring out at the disappearing sun from her balcony. Heavy, thick robes lined her luscious form. Beautiful velvet in a rich blue color fit snugly to her curves. A crown of entwined flowers sat proud atop her head. Her delicate profile showed her true regal magnificence. Light hair curled down long and brushed against the fabric of her dress. She stood, ethereal, like an Ancestor goddess in his midst. Perfect. Untouchable. Supposedly his. She didn’t turn to look at him, although he knew she always knew when he entered the room. This was a woman of ultimate power, the strongest Sensitive in the kingdom. And one of only a few in the village who seemed to glow with magic. So soft. So kind. So distant. She was his wife. His queen. And so far out of reach. He wanted her with a desperation that made him ache. But he often thought his wanting of her would be the death of him. He couldn’t allow it to be the death of his kingdom. “We’re expected for the evening meal.” His tone was rigid. Her stance remained the same, as if she couldn’t hear him. Ella made him question himself in a way no one ever had. As a royal and now a king, he wasn’t used to scrutiny. No one seemed able to read his shortcomings as easily as his wife. His patience frayed. Defiance was not a battle he needed to wage this day. Especially against the one woman who was supposed to stand by him always. Newly married and he’d already learned. The wife he’d married for love would never love him back. And she’d never be on his side. War. Ella’s blood boiled with the truth. The scent of blood drifted on the horizon. As the sun faded behind the mountains, her people’s safety faded with it. She felt this truth as surely as she felt her nails curling into her palms. Loss. The wind swirled with it. Inevitable sacrifices lingered in their future, but she couldn’t define what they risked. Everything inside her yearned to place the pieces into a discernible pattern, something she could give to the king to use. But for the first time in her life, answers eluded her. Were the Ancestors punishing her? She stared into the angry gray clouds and questioned. Something she’d rarely had to do. As a Sensitive, she’d always known the truth. Not now. Everything was changing, evolving, yielding, one day into the next, a whirlwind she couldn’t stop. Despair. She could feel the pain in the air, like a blade suspended in time, destined to kill through the ages, destined to harm. A tear slid down her cheek. She was supposed to save her people. She’d always known it. But how? I’m honored to be the first, Sasha! Thank you for allowing me to visit today! Nice interview. Loved the excerpts! Thanks Jena! I’m so glad you liked the excerpts! The books sound fabulous, Kinley! Congrats. You guys had a great interview.